Delisted research takes a lot of digging. Here are the sites, links, and tools we use to find the dirt. Review them, use them, and share your own! Updates and changes on the site. Feel free to leave feedback on posts or the site in general. 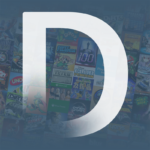 Updates and changes specific to the Delisted Games Community/Forums. Feel free to leave feedback about the forum itself including suggestions for new subforums or topics. Use this forum also if you would like to communicate about privacy concerns on the Delisted Games Community forums.